Bebedeparis' baby soft toys have been especially selected for being soft and cuddly. 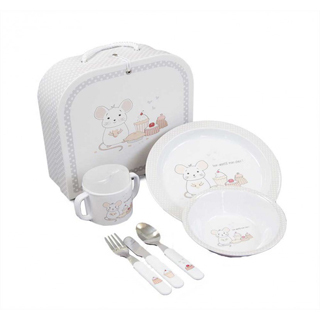 They make an ideal birth gift and are essential for the baby's development. Our selection includes different soft toys in various colours, such as teddy bears, lambs or bunnies. 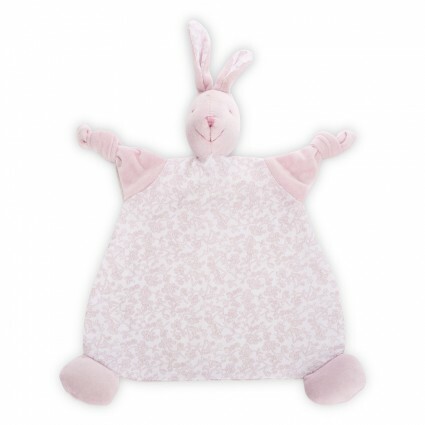 Our soft toys come in different shapes: puppets, rattles, comforters or small comforter blankets. Your baby will be inseparable from his new friends! Combine soft toys with other accessories, for example blankets or bibs, personalised with the embroidered baby's name. Cute and classic baby comforter, a delicate soft toy to spoil the newborn. 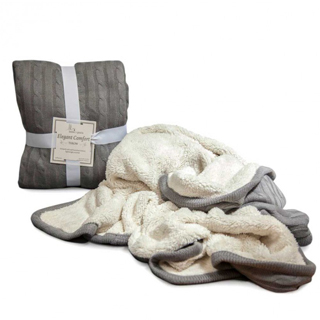 A big, big adorable and soft baby comforter. Babies feel safe and calm with their best friends. 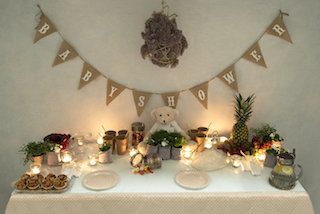 A kind gesture to welcome newborn. This hamper contains the following products:Big Bunny Baby Comforter. Stuffed bunny with fleece blanket. Small rectangular wool box.